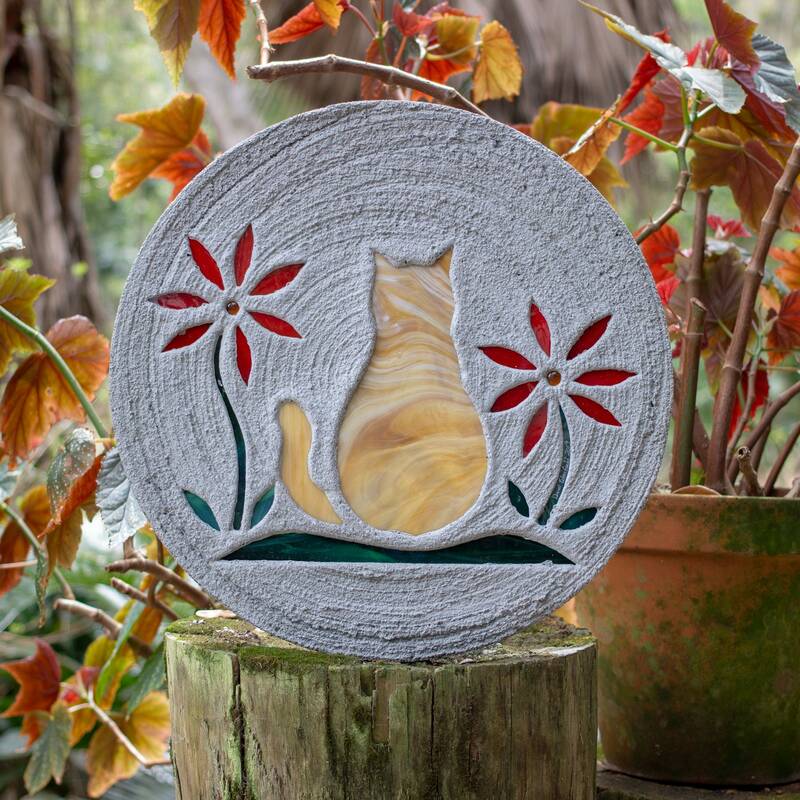 An orange tabby cat overlooks a garden of red flowers, perfect for a garden centerpiece or pet memorial. I can make this cat and the flowers in other colors to match your favorite kitty, just contact me and let me know. ~ These stepping stones have become very popular here in the Souheast over the past 20 years, and their durability and practicality have been proven. Buy with confidence, I guarantee your satisfaction. You will find nothing else like them on the market, anywhere! 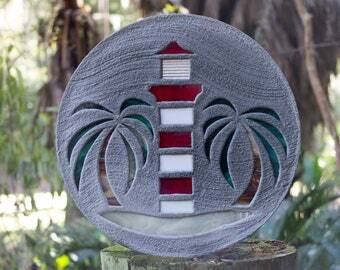 Beautiful stepping stone, fast shipping, the perfect transaction. Thank you!! !